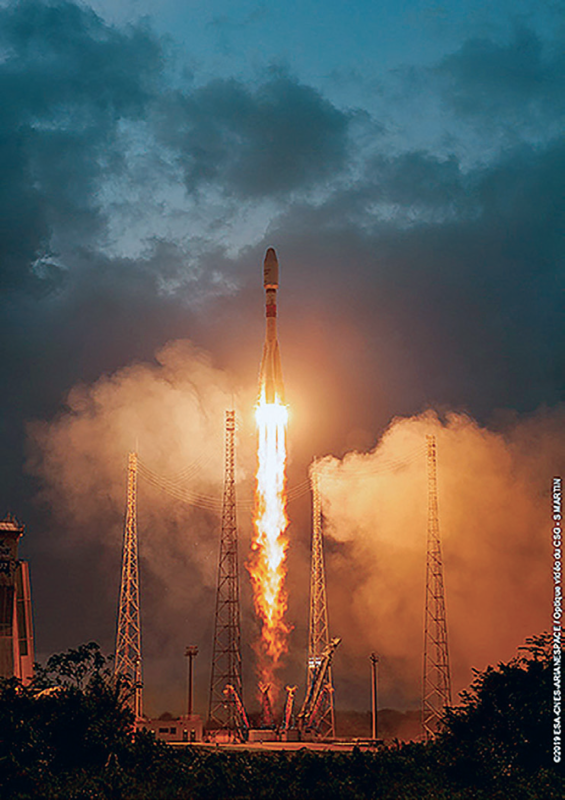 Arianespace played a significant role in improving global connectivity with the Soyuz launch that deployed the initial six satellites in OneWeb’s constellation, which will provide affordable high-speed internet access for users around the world. The cluster of spacecraft — produced by the OneWeb Satellites joint venture of OneWeb and Airbus — was successfully deployed into a circular LEO on Arianespace’s first Soyuz mission of 2019 (and the launch services company’s second mission overall for this year). Lifting off from the Spaceport precisely at the scheduled 6:37 p.m. launch time in French Guiana, the workhorse medium-lift vehicle delivered its payload during a flight lasting 1 hour and 22 minutes. Total payload lift performance was estimated at 1,945.2 kg. After an initial powered phase of Soyuz’ three lower stages, the flight — designated VS21 in Arianespace’s numbering system —– included two burns of the Fregat upper stage to place its passengers at their targeted deployment point. OneWeb is building the world’s largest and highest throughput satellite system to connect everyone, everywhere — by land, air, sea with a vision to bridge the digital divide once and for all. The first six spacecraft will operate at an altitude of 1,200 km. in a constellation that will deliver extremely low latency for customers and provide communications access to the entire world with fiber-quality internet connectivity. The initial constellation will be compromised of approximately 650 satellites and will scale to more than 900 spacecraft as it grows to meet demand around the world. OneWeb signed a contract with Arianespace in 2015 for a total of 21 Soyuz flights from three launch bases (the Spaceport in French Guiana; Baikonur Cosmodrome in Kazakhstan and Vostochny in Russia), to be performed through 2020. The OneWeb constellation will support a wide range of markets, including aeronautics, maritime, backhaul services, community WiFi, emergency response services and more. The operator also is focused on connecting unconnected schools and working to bridge the digital divide for people everywhere. This launch success marked Soyuz’ 21st flight from the Spaceport since this vehicle’s 2011 introduction at French Guiana, as well as the second Arianespace mission from this equatorial launch site in 2019 — following the heavy-lift Ariane 5 flight that orbited Saudi Geostationary Satellite 1/Hellas Sat 4 and GSAT-31 on February 5. With a busy launch schedule in 2019, Arianespace targets up to 12 missions from the Spaceport with Ariane 5, Soyuz and the light-lift Vega. Arianespace CEO Stéphane Israël congratulated OneWeb in his post-launch comments from the Spaceport and underscored the importance of today’s Soyuz success for both companies and said this initial mission makes this ambitious partnership —– built around the launch of more than 600 OneWeb satellite — a reality. He also announced that following this launch's success, Arianespace and OneWeb have reached an agreement that completes the current launch services order. This agreement is for OneWeb’s use of Ariane 6’s inaugural flight in its A62 version, as well as options for two future Ariane 6 missions. Speaking at the Spaceport, OneWeb CEO Adrian Steckel noted the group effort of many participants, including Arianespace, that led to the launch and stated that the notion of doing good is deep in the foundations of the company — and OneWeb is looking forward to doing their part in connecting the world, together with the firm’s partners. Nicolas Chamussy, EVP—Space Systems at Airbus Defence and Space, acknowledged Arianespace’s important role in this first step of establishing the OneWeb constellation and added the company thanks Arianespace for having delivered spot-on, providing world-class access to space. In related news, OneWeb has secured their largest fundraising round to date with the successful raise of $1.25 billion in new capital — this brings the total funds raised to $3.4 billion and this round was led by SoftBank Group Corp., Grupo Salinas, Qualcomm Technologies Inc., and the Government of Rwanda. 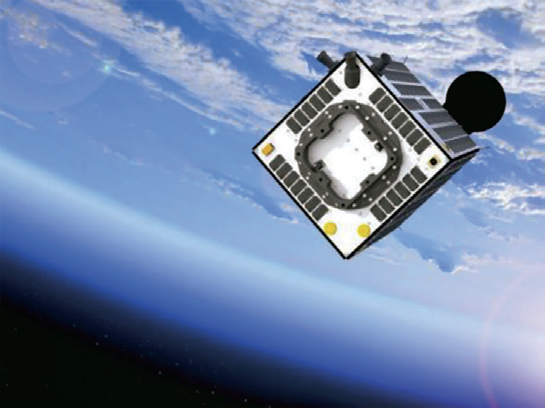 NanoAvionics has announced their upcoming launch of two orbital missions based on the firm’s M6P nano-satellite (smallsat) bus. The smallsat manufacturer and mission integrator uses innovative approaches to technology and business that makes a new generation of space applications possible. The launch of these smallsats will demonstrate how the company enables a faster, more responsive approach to space technology development. 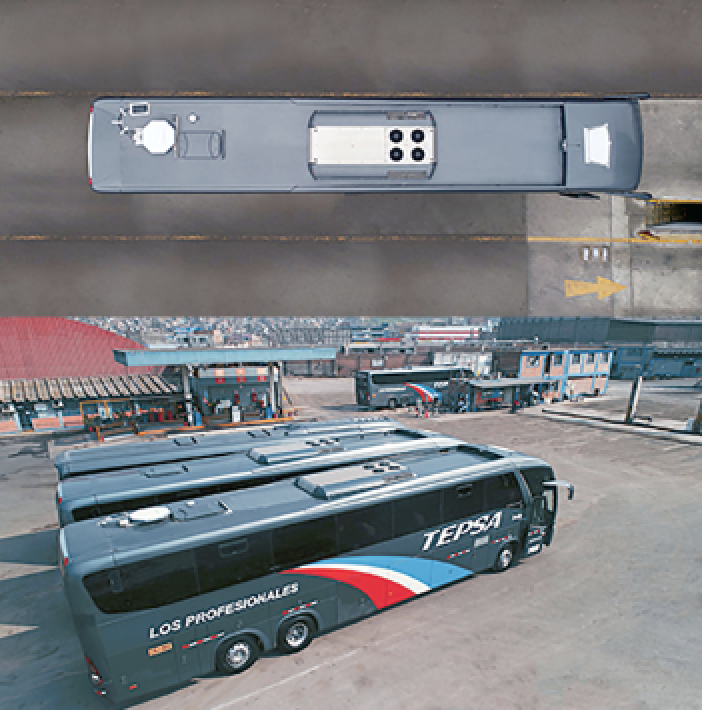 Among the features of the M6P bus is a pre-integrated design that shortens development cycles. In addition, NanoAvionics’ ridesharing program lets several customers conduct technology demonstration missions at a fraction of the time and cost of a dedicated space mission. The satellite, BlueWalker 1, is the first of a series of satellites for AST & Science and is to be used for testing the company’s patented technologies in space. The two companies are partnering to take advantage of NanoAvionics’ buses, power systems and services for this and subsequent AST & Science missions during the coming months. Such a rapid tempo of space missions is the direct result of NanoAvionics’ design approach. 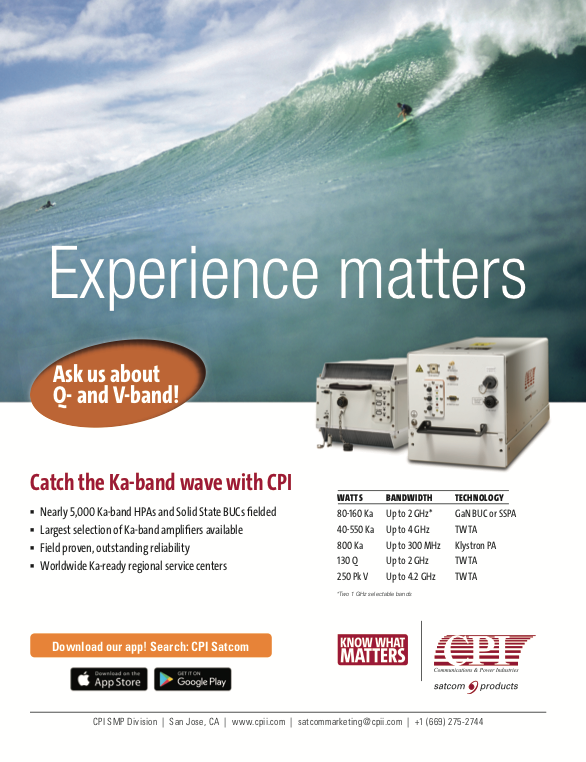 The subsystems in each M6P bus are pre-integrated and pre-qualified. This allows the integration of customers’ payloads to begin immediately, saving both time and money. Vytenis J. Buzas, the CEO of NanoAvionics, explained that it only took one month to manufacture “BlueWalker 1” and integrate its payload, with the mission demonstrating how NanoAvionics’ pre-integrated smallsat bus enables faster, more responsive approaches to advancing space technology readiness. 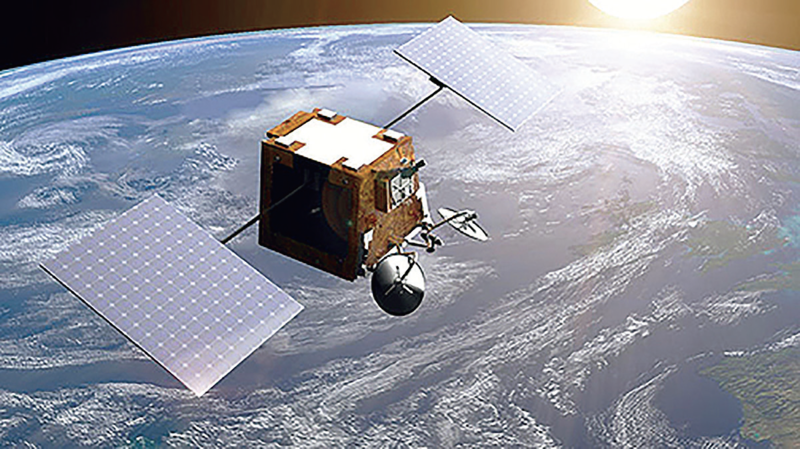 The second smallsat — M6P — is a ride-share mission that will host payloads from two Internet of Things (IoT) communications companies. SpaceWorks Orbital and Lacuna Space are each developing satellite-based communications systems for a new generation of low-power IoT devices. SpaceWorks Orbital will complete a multi-year development effort with its patented IoT radio technology by demonstrating ground-to-space communication with the M6P spacecraft while on orbit, validating the company’s low-cost IoT architecture for its Blink Astro business line. In parallel, Lacuna Space will receive LoRaWAN signals from terrestrial IoT devices and relay the data through the company’s cloud-based Lacuna Network to participants in Lacuna Space’s beta program. In addition to supporting the ride-sharing missions, NanoAvionics will demonstrate some of its recently-developed nano-satellite technology on the “M6P” flight. A dedicated satellite would be overkill for technology demonstrations such as these. By sharing an M6P bus’s up to 5U payload volume, project teams can divert resources to other essential tasks. M6P bus standardized hardware and software interfaces several times accelerate satellite integration timeframe as well as help to define interface for payload. Access to M6P FlatSat, which is granted to each customer, allows to develop and test payload software and simulate all operational aspects of their mission. Also, the Rideshare service relieves the burden of launch integration and logistics, frequency allocation and satellite operation while it’s in orbit for NanoAvionics customers. Phasor has engaged manufacturer Surface Technology International (STI) to initiate the production of the company’s ESA systems. Headquartered in Hampshire, UK and part of the AC Industrials group, STI has decades of experience in the manufacture of complex aerospace, military and SATCOM systems. This will ensure that Phasor can successfully ramp up production as required with a partner that is located within easy reach of Phasor’s London Technology Center. In contracting a trusted manufacturing partner, Phasor can continue to focus on its core competencies in advanced ESA technology development, product design, and market development. Phasor’s low profile (2-inches high), low weight, solid-state electronically-steerable antenna has no moving parts, making it more reliable and resilient than mechanically steered antennas. The modular, dual-beam architecture of the Phasor ESA provides resilience and interoperability between geosynchronous high-throughput satellites (GEO HTS), and non-geosynchronous satellites (Low Earth Orbit [LEO] and Medium Earth Orbit [MEO]) satellites. Simon Best, STI Managing Director, said the products will be manufactured in the STI Poynton facility, an industry-leading center manufacturing high-quality electronic systems and the company looks forward to seeing Phasor grow in this rapidly expanding market. David Helfgott, the CEO at Phasor, added that STI brings vast experience to the table and consistently reaches the highest technical standards within demanding timeframes to offer a manufacturing solution with world-class technical competence. He added that this is essential as the company moves into commercial production. These two companies will be combining their talents to deliver Earth Observation (EO) images directly to Taiwan of the entire Earth from the new AxelGlobe constellation. 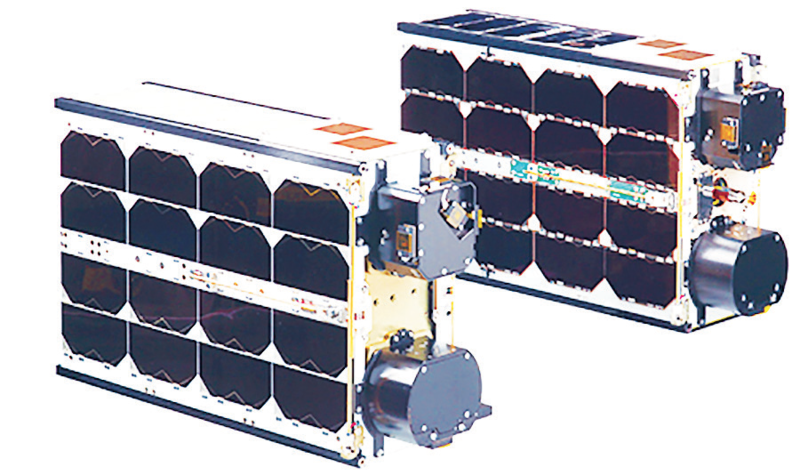 Axelspace Corporation, a Japanese company specializing in small satellite platforms development, and ODYSSEUS SPACE, a Taiwanese company developing space technologies for small satellites will provide Earth Observation data in Taiwan from the new AxelGlobe constellation. AxelGlobe is the Earth observation infrastructure for a new era. It will have the ability to image the whole civilized world with a resolution of 2.5 m—enough to distinguish large cars—every day. Axelspace has begun the development of AxelGlobe, an Earth observation service based on a multiple-satellite single plane constellation. With it, they will be able to obtain imagery of more than half of the planet’s dry land once every single day, with consistent imagery at 2.5m resolution. As a first step to construct the constellation, the company launched the first satellite named GRUS on December 27 last year. The first light from the satellite was successfully shared and the commercial service is to begin in May 2019. After that, Axelspace expects to launch three more GRUS satellites in 2020 and to complete the entire constellation by 2022. Jordan Vannitsen, Chief Executive Officer and co-founder of ODYSSEUS Space said this is a great opportunity for Taiwan to gain large access to such fast revisit time high-quality imagery. There is a real hunger for consistent Earth Imagery data with high revisit time, and Taiwan is the perfect place to reach to startups who want to develop innovative applications for Smart Cities, Green Energy or Disaster Management. There is a huge burgeoning and enthusiastic entrepreneur community with great novel ideas here, and with this agreement, they want to help them to change how Earth Imagery is part of everybody’s life. With a partner like Axelspace, who has a reputation of high quality and high performance platforms, they are very confident that this will be reflected on the quality of the data and of the service. Developing an ecosystem in Taiwan where ODYSSEUS could have access to visual data processing expertise will be key for their own future space resources prospection activities. Yasunori Yamazaki, Chief Business Development Officer for Axelspace added that the ODYSSEUS SPACE Team has been a great help to understand the Taiwanese market and reach to key actors in the local space industry, but also to the startup ecosystem. Taiwanese government has been receptive so far and they want to keep working in that direction with ODYSSEUS. Because of its size and high-tech environment, Taiwan will become the perfect laboratory to try new ideas and business models. Marlink’s partnership with Mahd Satellite has been further cemented with the installation of a new Terralink Hub and RF uplink station at the company’s headquarters in Muscat, in the Sultanate of Oman. The flexibility of this fully-managed network operator service from Marlink enables Mahd Satellite to offer a comprehensive range of VSAT communications capabilities for its customers while controlling the infrastructure to function within the country’s regulatory framework. Marlink’s managed Terralink Hub service supplies a complete end-to-end VSAT connectivity solution which features 24/7 Level 2 monitoring and control plus full marketing and engineering support, with value-added IP services including internet backbone access, routing, firewalling and a customer portal. 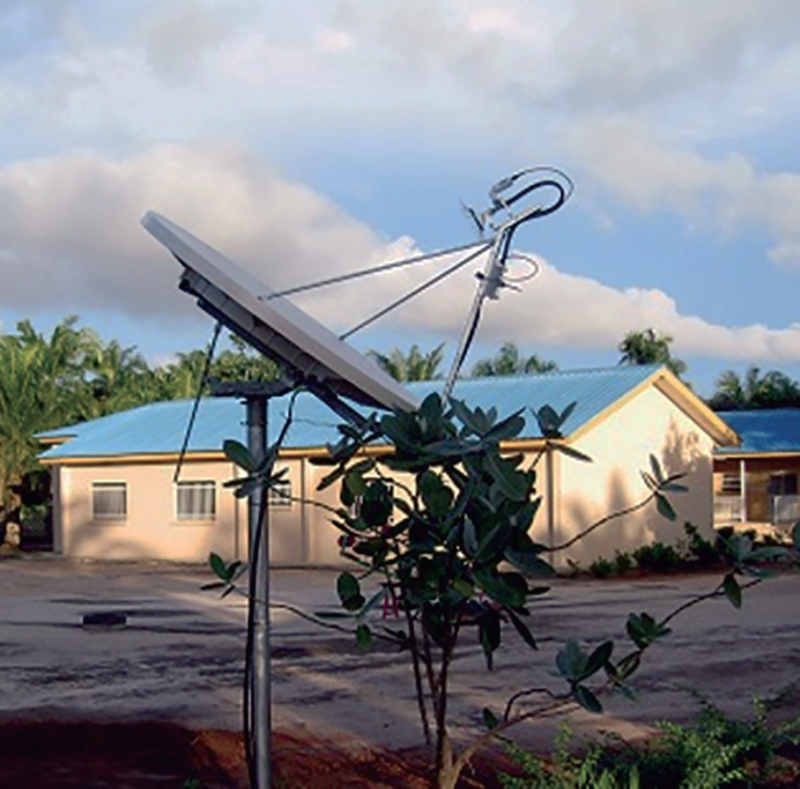 For Mahd Satellite, the breadth and adaptability of the Terralink Hub’s managed service translates into a highly efficient and cost-effective means of meeting network capacity requirements and providing internet access for end-users to access diverse applications from business-critical email and video streaming to web browsing and support of internet apps. The service is specially adapted to sectors including defence, oil and gas, security, telecoms and IT, construction and utilities. Kevin Thorley, Head of Sales Middle East, Marlink, said the installation of the firm’s versatile Terralink Hub on Mahd Satellite’s premises in Oman signifies a promising development in the continuing alliance between the two companies. Not only is this an affirmation of the satisfaction which these connectivity services have already delivered, complying to a set of extremely specific parameters, but also accentuates the company’s commitment to facilitating business development for partners in the Middle East. 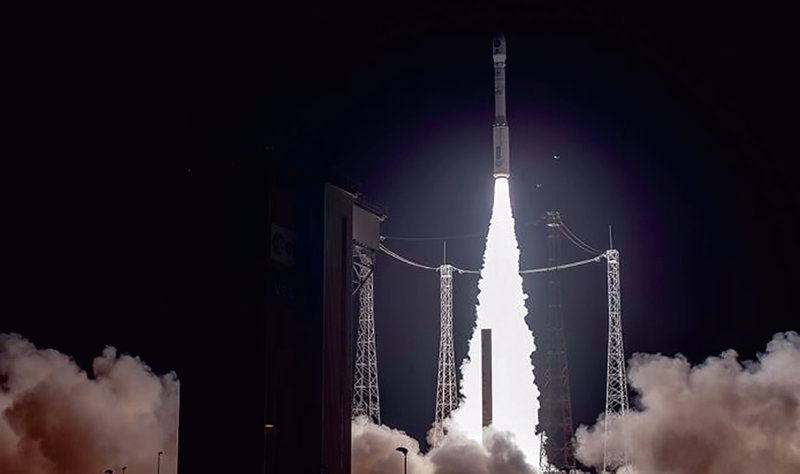 Arianespace’s third mission of 2019 — which marked the Vega rocket’s 14th consecutive success — orbited the Italian PRISMA Earth Observation (EO) satellite tonight, bringing the total number of spacecraft lofted by the launch services company to 600 — this was the 308th flight overall of an Arianespace launcher. mission of 2019. Photo is courtesy of Arianespace. Vega deployed the payload into Sun-Synchronous Orbit (SSO) during a 54 minute mission performed from the Spaceport in French Guiana. The PRISMA satellite had an estimated liftoff mass of 879 kg., with the Vega launcher delivering a total payload lift performance of 953.5 kg. — which included integration and deployment system hardware. PRISMA (PRecursore IperSpettrale della Missione Applicativa) was produced for the Italian ASI space agency by OHB Italia as prime contractor, with Leonardo responsible for the EO system. Operating from LEO, the satellite is designed to provide major applications for protection of the planet and for Italy’s national environmental safety. PRISMA is equipped with a state-of-the-art electro-optical instrument with a medium-resolution camera and an innovative hyperspectral sensor. Once operational, PRISMA will provide data for environmental monitoring, resources management, the identification and classification of crops, the fight against pollution and other uses. Designated Flight VV14 in Arianespace’s launcher system numbering system, this mission underscored the company’s role in deploying EO satellites, as PRISMA was the 70th spacecraft orbited by the company for this type of application. 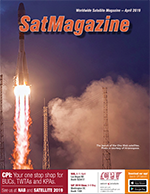 Flight VV14 followed Arianespace’s two previous year-opening successes in 2019: the first, performed on February 5, using a heavy-lift Ariane 5 to place the Saudi Geostationary Satellite 1/Hellas Sat 4 and GSAT-31 communications relay platforms into geostationary transfer orbit; while the second employed a medium-lift Soyuz vehicle on February 27 to deploy the first six satellites into a circular LEO for the OneWeb communications constellation. 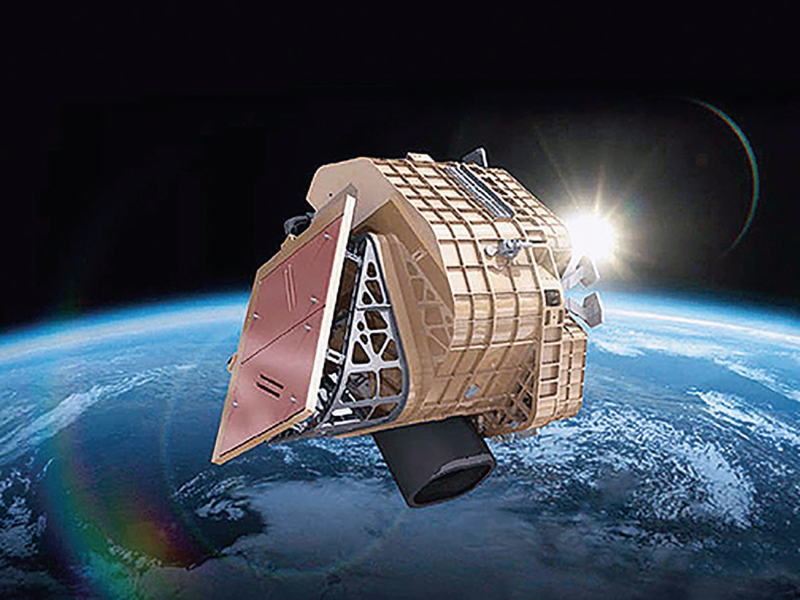 Artistic rendition of Italy’s PRISMA satellite on-orbit. Luce Fabreguettes, Arianespace’s EVP — Missions, Operations & Purchasing, said there was no better way for Vega to start the year 2019 than with this 14th success in a row. The PRISMA satellite is fully in accordance with Arianespace’s motto: Space at the service of a better life on Earth. Following the launch, Arianespace CEO Stéphane Israël said that with this successful launch of the PRISMA Earth Observation satellite, Arianespace has orbited its 600th satellite. The company is proud to continue performing the firm’s primary vocation of ensuring independent access to space for Europe, with a focus this evening on Italy. Israël added that the mission, carried out for the Italian space agency, ASI, and the Italian industry consortium led by OHB Italia SpA and Leonardo SpA, illustrates the reliability of the Vega launcher, which has performed its 14th successful launch in a row. Arianespace now has 9 Vega and Vega Cs in its launch order backlog. Kymeta has demonstrated their hybrid, one-source connectivity platform during a recent pilot program throughout Peru with the assistance of their partners Intelsat, Cubic Telecom, and Cradlepoint — the firm also worked with Airbus to create SmartBus, an innovative project, in partnership with the World Bank and with the support of the Ministry of Transport and Communications of Peru (MTC), which aims to gather data on road safety and other statistics to improve Peru’s transportation while connecting people in difficult geographical areas of Peru. Buses owned by TEPSA, a pioneering inter-provincial bus line, were outfitted with Kymeta satellite terminals that leveraged satellite capacity from Intelsat, cellular coverage from Cubic Telecom, and a software-defined wireless WAN solution from Cradlepoint. This enabled information to be gathered and transmitted in real time across a 742 km. route through urban and rural areas of Peru. Kymeta demonstrated a similar solution featuring this unique hybrid network approach at Mobile World Congress in Barcelona, February 25-28, 2019. Using Kymeta’s hybrid satellite-cellular solution, the SmartBus is enabling uninterrupted connectivity in the country’s most rugged and isolated terrain, while gathering and transmitting essential data with unprecedented precision. This will accelerate research into new technologies to provide connectivity to remote areas, along with satellite images provided by the Peruvian Space Agency (CONIDA). The project will collect information about the state-of-the-road network between Lima and several cities at the edge of the jungle, and enable communications in rural areas, which are easily isolated in the event of a natural disaster. The SmartBus pilot lays the foundation for a variety of industry applications for Kymeta’s ubiquitous mobile connectivity platform, including commercial agriculture, fleet management, public transportation, and critical access for first responders. Each use case requires uninterrupted connectivity and reliable access, data collection, and communication. Kymeta highlighted the hybrid network solution at Mobile World Congress using their new satellite and cellular connected vehicle, featuring a fully embedded Kymeta terminal. Kymeta also announced the release of its whitepaper, A Hybrid Network Solution for Reliable, Wide-Coverage First Responder Communications. Accidents, disasters, and emergencies often cause physical damage to cell sites or network congestion, inhibiting first responders from access when it’s needed most. 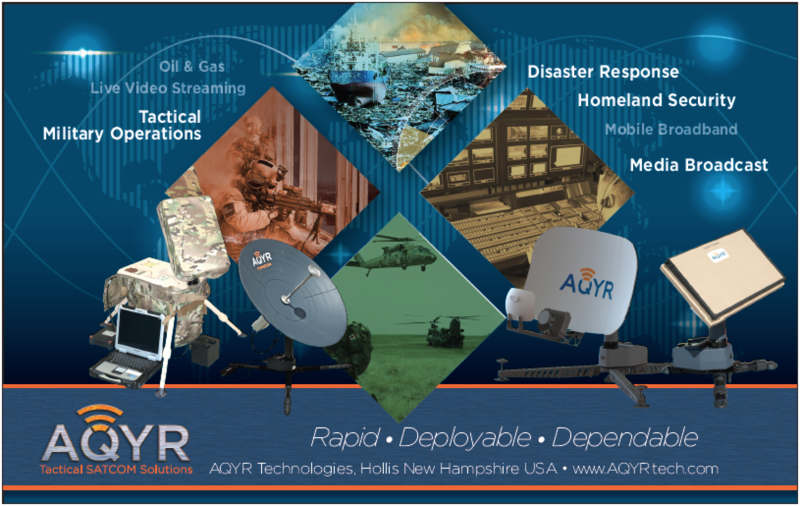 The whitepaper highlights two field trials and features the solution for resilient and protected networks, and rapidly deployed infrastructure that can make a difference in life or death. Alberto Rodríguez, Director of the World Bank for Bolivia, Chile, Ecuador and Peru, said this project is making a tangible contribution to development by connecting people in an extremely difficult geographical region of Peru. Emmanuel Sauzay, SmartBus Project Manager within Airbus Defense and Space, noted that Kymeta has strong partnerships that, collectively, have provided Airbus with a one-source connectivity solution: cellular and satellite access, a platform for integration, plus solution management.